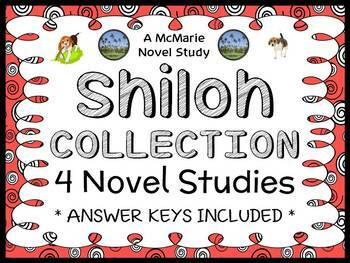 This Shiloh COLLECTION is based upon the Shiloh series by Phyllis Reynolds Naylor. The novel studies total 135 pages (270+ pages including answer keys). The novel studies are all PDFs in booklet-style format. 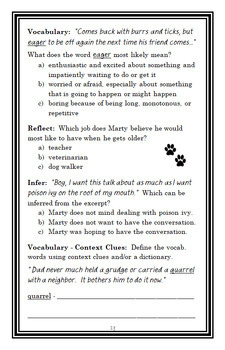 The questions are based on reading comprehension, strategies and skills. 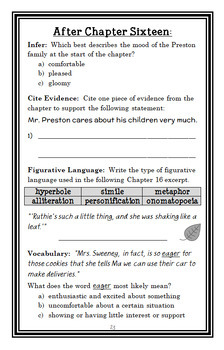 Each novel study is designed to be enjoyable and keep the students engaged. All 4 novel studies are complete with a challenging, book-based Word Search and Word Jumble! 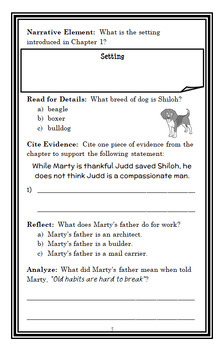 ***The preview is of the novel study for Shiloh, which one of the 4 novel studies included in the bundle. This is a .zip file. The files inside the compressed folder are all separate. **Please leave a rating a feedback!!! :) Thank you!